Here at OGS we like to celebrate farms that are doing the things we believe in — making local, sustainably grown food accessible to our community; educating the next generation of farmers; and approaching farming in an ecological way. This is why we created the OGS Farm Network, a database highlighting farms that are actively engaged in the local community, use organic and/or sustainable production methods, and are dedicated to training new farmers. We do not require any certifications in order to be a part of this network. Still, many of our network farms use alternative certification options rather than the well-known USDA Organic Certification. Organic Certification has it’s benefits and assurances, but often it’s prohibitive for small-scale producers due to record-keeping capacity. It’s important to understand the standards for alternative certifications so you can identify producers that uphold your values in ways that might not translate to USDA National Organic Program standards. 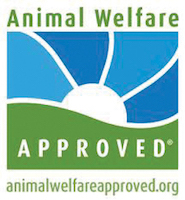 Animal Welfare Approved (AWA) offers certification for all animal products FREE of charge to participating members. Their standards have been developed with input from scientists, veterinarians and farmers to “maximize practicable, high-welfare farm management with the environment in mind.” They require audited slaughter practices and pasture access for all animals, stating that “animals must be able to behave naturally and be in a state of physical and psychological well-being.” This stems from the organization’s understanding that our farming systems are intrinsically linked to our environment. AWA also has standards for exotic livestock that are indigenous to the country that they are being produced. In the U.S., they also certify free-range bison. Against the Grain in Zionville, NC offers Animal Welfare Approved beef, pork, goat, turkey and chicken. 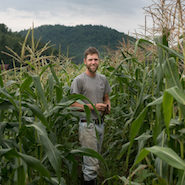 You can find their products at the Watauga Co. Farmer’s Market, the Boone’s Winter Farmer’s Market, in their Veggie CSA, in their Meat CSA, distributed by New Appalachia Foods, as part of the the multi-farm High Country CSA and in select High Country area restaurants. 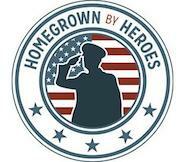 Offered through the Farmer Veteran Coalition, The Homegrown by Heroes label “is proudly displayed on products grown, raised and produced by hardworking farmer veterans who have chosen to serve their nation twice – once by defending it and once by feeding it.” They certify farmers, value-added producers, fishermen, and ranchers that have served in the military. It’s a great way to know you’re supporting your veteran community. New Life Farm in Lenoir, NC is certified Homegrown by Heroes. You can find their products by participating in their CSA, attending the Watauga County Farmer’s Market and at New Public House (Blowing Rock, NC), as well as other local independent restaurants and stores in the Boone/Blowing Rock, NC area. 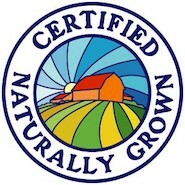 Certified Naturally Grown (CNG) offers certifications for vegetable and mushroom producers, aquaponics operations, and apiaries. CNG farmers don’t use synthetic fertilizers, pesticides, herbicide, or GMOs, just like certified organic farmers. The main difference between CNG and organic is the certification model, which relies on peer inspections, transparency, and direct relationships. Certified Naturally Grown is a Participatory Guarantee System. PGS’ have existed for decades, but in recent years they have gained recognition for the valuable role they play in the organic movement by including small-scale farmers in organic guarantee systems. PGS’ provide an important alternative to third-party certification programs. In addition to being more affordable, and less reliant on paperwork, PGS’ are distinguished by their approach. Inspections are carried out by peer-reviewers, typically other farmers in the area. The PGS’ model is based on transparency, trust, and direct relationships. PGS’ foster local networks that strengthen the farming community through mutual support and educational opportunities. 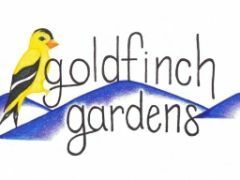 Goldfinch Gardens in Celo, NC is Certified Naturally Grown. You can find their products through their online CSA, Knife and Fork in Spruce Pine, NC, Cucina 24 in Asheville, Donatelli Cake Designs in Asheville, and Mountain Air Country Club in Burnsville. Offered through the Agricultural Justice Project, The Food Justice Certification “seek[s] empowerment, justice and fairness for all who labor from farm to retail. Central to our mission are the principles that all humans deserve respect, the freedom to live with dignity and nurture community, and share responsibility for preserving the earth’s resources for future generations.” Their certification addresses every part of the “food chain”, including all racial and environmental aspects of food production. Although none of our farms are certified yet, we’d encourage consumers to ask about farmers efforts in these realms! Looking for find more sustainably-grown food in Western Appalachia or wish to be listed as a sustainable producer? Search or apply to the OGS Farm Network.